There seems to be a new version of the infamous Bugatti Veyron at every motor show, but even we were taken with the Bleu Centenaire on display at the 2009 Geneva motor show. Is the Bugatti Veyron Bleu Centenaire more powerful? Not at all, though 987bhp already seems ample to us. 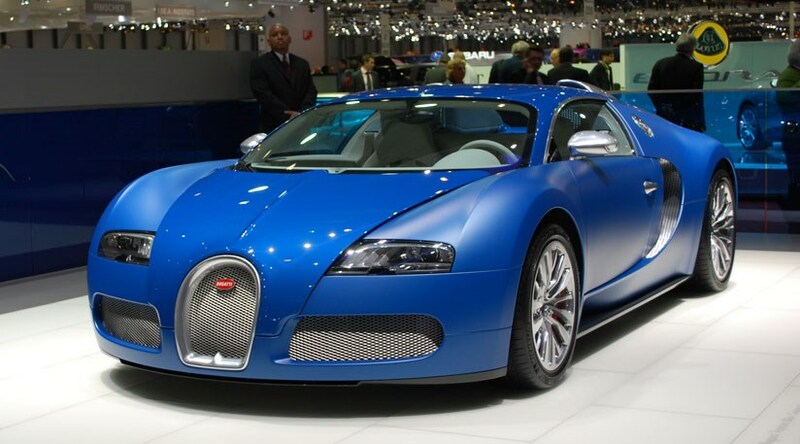 Instead, the Blue Centenaire Bugatti has been built to celebrate the company's 100th anniversary, and is the start of a number of celebrational activities that are planned to take place throughout 2009. The Bleu Centenaire is painted in the company's famous Bugatti blue, last seen on the EB110, but on the Veyron some sections are matt and some are gloss, and somehow it works. There are also polished and anodised alumimum wing mirors, a new design of alloy wheel that hides the bright red brake callipers. The Bleu Centenaire also receives the tweaks that all Veyrons will have in 2009 - LED lights, parking sensors and a rear-view camera. The Blue Centenaire can be yours for just E1.35 million, excluding delivery and local taxes. But whether you want this car or another, you best get a move on as so far 250 Veyron coupes have been ordered, so just 50 more can be sold before the 300 limit is reached.